Taiwan Virtual Phone Number diverts calls from Taiwan to any other country. Buy a Taiwan Virtual Phone Number and instantly create a phone presence in Taiwan. 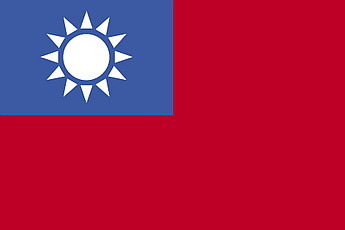 When your callers dial your Taiwan Virtual Number, they will be connected to your specified ring to phone number which can be located anywhere, in any country. Your Taiwan virtual number will divert calls to any phone number in any country that you designate including, mobile phone, landline, VoIP/SIP, PBX, Call Center or Fax. Your Taiwan Virtual number will divert calls automatically to any phone number worldwide that you choose, mobile or landline, Fax, VoIP or PBX. You can establish a phone number in your choice of Taiwan Toll Free or Taipei cities and receive the calls on any device worldwide. Own a private Taiwan mobile accessible toll free or Taipei local number that diverts calls to any phone number in any country. International companies serving a Taiwann market. For instance, an Argentina company could buy a Taiwan phone number for its Taiwan customers to call instead of listing a traditional Argentina phone number. This simple step can eliminate customer concerns about calling Argentina due to international calling costs and time differences. A mergers and acquisition company based in Dubai may want a Taiwan phone number to make it easy for Taiwanns in the oil sector to reach them easily in addition to having a local phone presence to compete with local Nicargua contenders. Getting a Taiwan phone number is an effective strategy that instantly creates an impression in the minds of Taiwan consumers. Obtaining a Taiwan phone number is a simple matter of signing up for one here. You do not need a physical location in order to establish a Taiwanese "office." By ordering a Taiwan phone number that includes international call forwarding, you can designate where you want the calls to be routed. Your "ring to" phone number can be located virtually anywhere. For example, you could receive Taiwan phone calls in the USA, UAE, China, Brazil, India, to a mobile phone or landline, PBX, call center or VoIP/SIP. Buying a Taiwan phone number with international call forwarding capability is an easy, cost-effective strategy that immediately creates a phone presence in Taiwan. 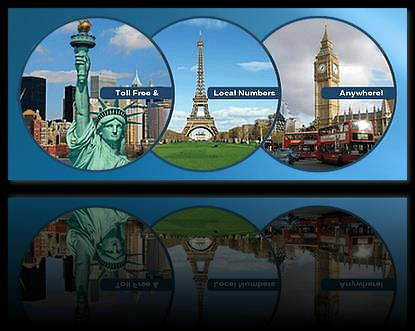 Instantly diverts calls from the virtual Taiwan number to any mobile, landline or VoIP/SIP you designate in any country. Cheng Shin Rubber Ind. Co.